The Ford Super Duty, or F-250, is the company’s heavy-duty truck model that has been extremely popular with consumers for decades. 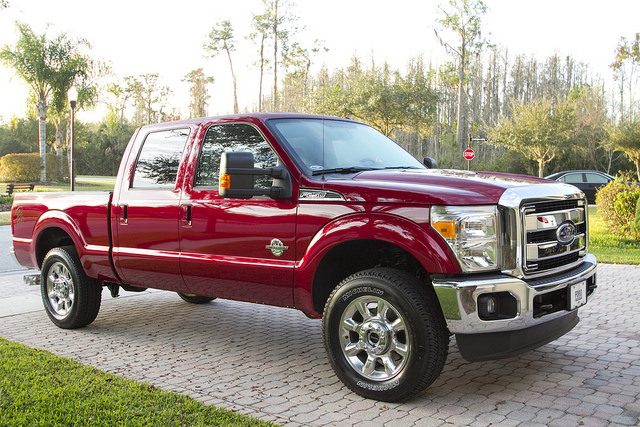 The truck features even better towing and hauling capabilities than the best-selling F-150 as well as stronger breaks. The auto comes with a 6.2 liter, eight cylinder engine rated at 385 horse power and 405 lb-ft of torque. Consumers can also elect to get the truck equipped with a 6.7 liter, eight cylinder diesel engine that is rated at 400 horsepower and 800 lb-ft of torque. If buying the truck new, consumers can choose between a regular, crew, or double cab and either the shorter, 6.8 foot or longer 8.2 foot truck bed. The truck’s top speed is 96 MPH and it can go from zero to 60 MPH in under eight seconds and is one of the top pickup trucks sold today.